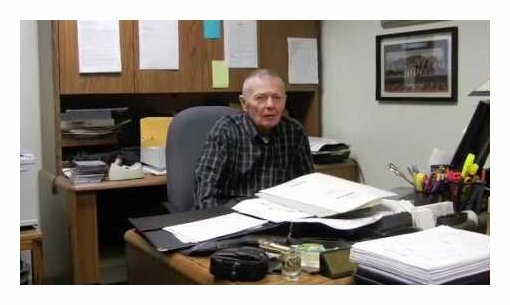 Gary Garner Interview with Bruce Duffie . . . . . . . . .
As this is being typed in July of 2017, I have been in Classical Music Radio for over forty years. Currently it is just a single program each week on WNUR-FM, but for just over twenty-five years (1975-2001), it was my privilege to work full time as an announcer/producer with WNIB, Classical 97, in Chicago. During that quarter-century I was able do about 1600 interviews with classical musicians — composers, conductors, singers, etc., — who came to The Windy City for performances or other reasons. I also did a few of these conversations on the telephone with older composers who were not coming my way, and I gathered a few more on my travels to various American cities, as well as mainland China! A full list of my guests is HERE. In August and September of 2003, my girlfriend, Kathy Cunningham, and I made an extensive road trip. The first part was a re-creation of the run made exactly one hundred years previously by my grandfather, Lawrence Duffie, and others, which established the non-stop record time of 76 hours in a gasoline automobile from Chicago to New York. Their exploits in various Columbia Automobiles, which were built in Hartford, CT, from 1896-1913, are shown on several webpages beginning HERE. The 1903 record is shown HERE. While we did not adhere exactly to their route, we were told by local people along the way that many of the roads we used were, indeed, present one century earlier. We took our time and enjoyed the trip, rather than try any kind of non-stop race as had been done in the previous century. I also did a few interviews with musicians while we were in the New England. After that, we headed south to visit my father, Burton Duffie (Lawrence’s son), then almost ninety-six years old, where he was living in a retirement center in Delray Beach, Florida. The next leg of our journey was west, across the deep south to Texas, to visit Kathy’s mother in Plainview. 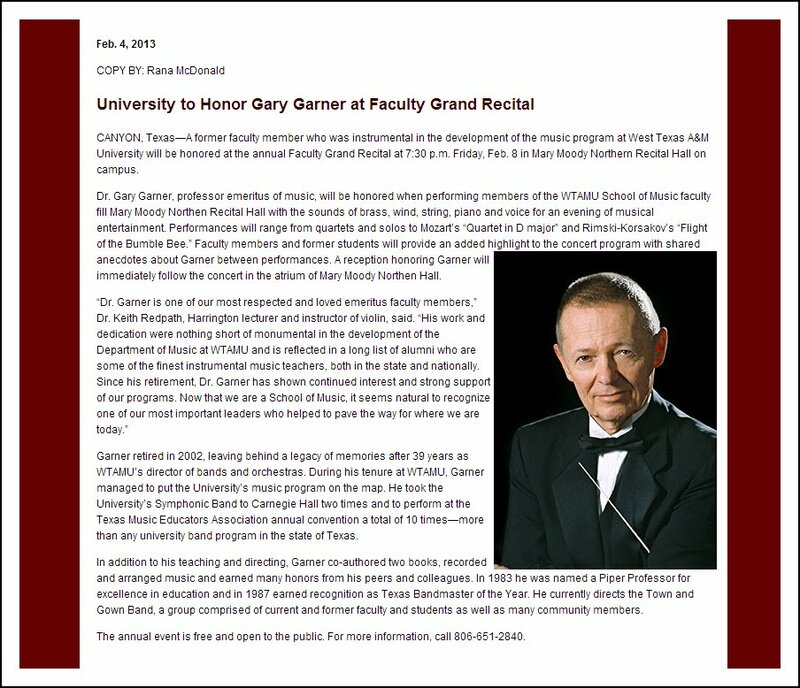 It was there that Kathy, a graduate of WT, and who had played clarinet in Garner’s ensemble for several years, contacted her former bandmaster and arranged for this interview before we headed back home to Chicago. When we arrived at his home in Amarillo, Garner greeted us warmly, and we settled in for the conversation. Bruce Duffie: We will just chat about our favorite subject. I assume your favorite subject is the same as mine, that being music? Gary Garner: You would be correct. BD: Is it wonderful to look back now on a life immersed in music? GG: It is indeed, yes. I wish I could do it all again. BD: Would you do anything different? GG: As far as music is concerned? Yes, I’d learn to play the piano. I’d have probably studied a little harder as an undergraduate. No, I would have studied a lot harder! [Both laugh] But my great regret is that I never did learn to play the piano. As many do, I had deluded myself into thinking that I was going to be a band director, so I didn’t need to know how to play the piano. I even conned the department head into letting me take French in lieu of piano, which he shouldn’t have done. I thought he was doing me a great favor, and he thought so too, but in retrospect I realize that it was not the best of decisions on my part. BD: Aside from the piano, is it safe to assume that you can get around on all of the other wind, percussion and stringed instrument to a certain extent? GG: There were obviously exceptions. Actually I started out as a baritone saxophone player. I didn’t intend to get in band at all, and I did it at the behest of my two best friends who were in the band. I started late, at the beginning of the school year, and the only instrument they had left was a baritone sax, which was at least my size. I had great difficulty in taking it home on my bicycle. I persuaded my dad I needed a smaller instrument, and that’s how I became a flute player, which was the smallest thing I could find. 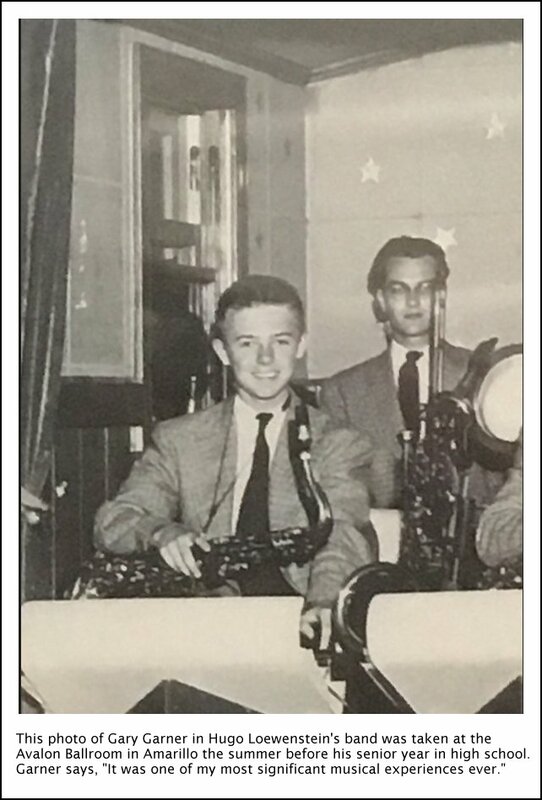 So I began my musical life as a flute player, and then gravitated in high school to the saxophone, and then the clarinet so I could play in dance bands [see photo below]. I did those pretty seriously for a long time, and later on picked up the oboe and bassoon. 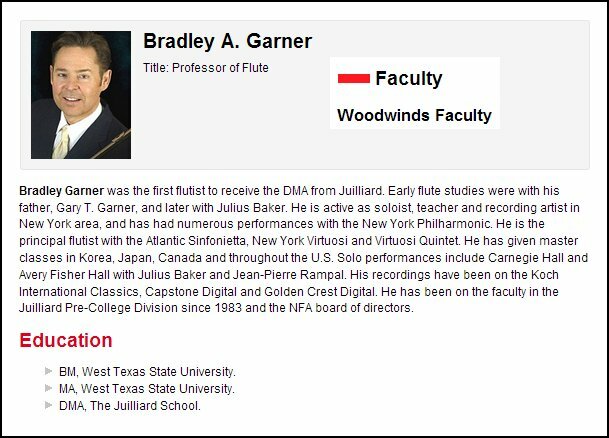 When I did a graduate recital, and was working on a doctorate, I did a woodwind recital where I played flute, oboe, clarinet, saxophone, bassoon. I’ve played some trumpet and I can play the other brass instruments, though I don’t know what I would sound like now. I was always a poor snare drummer. I did work on it for a while, but I never did accomplish a great deal. BD: But in the midst of all this you developed your musicianship? GG: I hope so! I have a wide variety of musical experiences, and they all contributed, in one way or other, to one’s overall musical skills and perceptions. That’s a lifelong pursuit. That never stops. BD: When you were directing bands at WT, did you also conduct orchestras? GG: Yes. 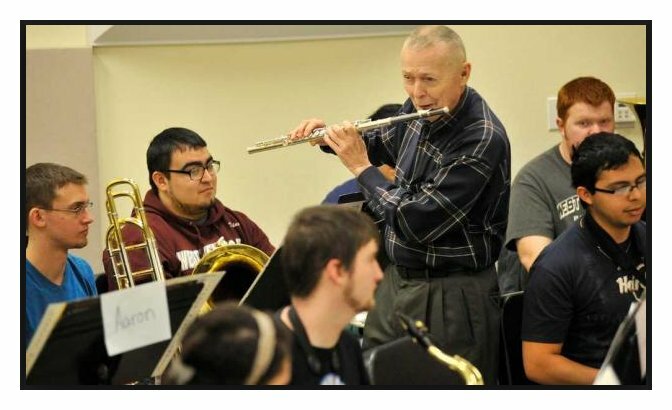 When I first went there in 1963, my teaching assignment was as Band Director. Then I taught all the woodwinds except clarinet. We had a clarinet teacher, so I was teaching oboe and bassoon and saxophone as well as flute. Later we added a bassoonist and then later an oboist, but the flute studio was growing all that time, and it finally got to the point where I had twenty-five students in the flute studio, plus doing the band, plus teaching some classes, which was more than I could handle. I just felt that I was not doing as good a job as I needed to do in anything because I was spread so thin. So I reluctantly gave up the flute teaching at that time. Then suddenly my schedule was wide open, and that also coincided with the departure of the orchestra director, so I also assumed responsibility for the orchestra. Having had only limited experience with stringed instruments, I did take violin lessons from a member of our faculty for four years. I never did quite reach the point I could stand to hear myself play, but it got a little bit better and it accomplished its purpose. I learned enough about strings to do a respectable job with the orchestra. BD: You were leading ensembles of students who were learning, not quite yet professional but getting towards that level. You could impart a lot of musicality to them and a lot of repertoire, I assume? 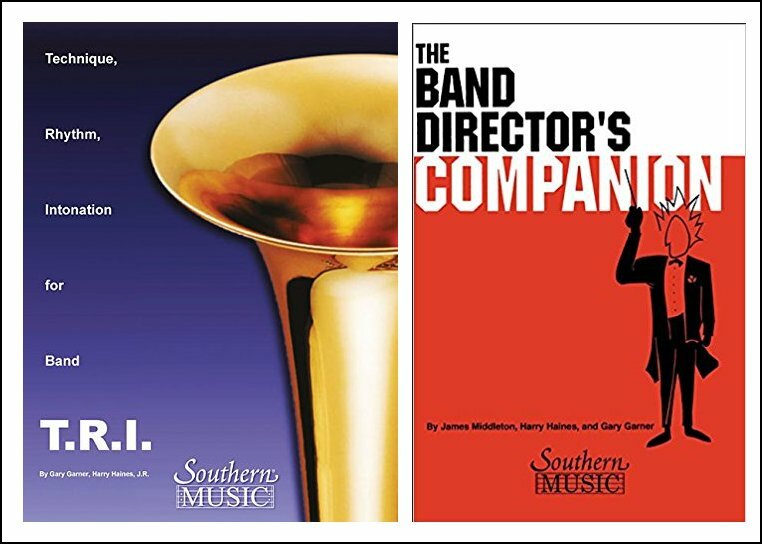 BD: From the array of band literature that is available to you — and I assume that it’s growing constantly — how do you select which pieces to do this year or next year, or which ones you won’t do at all? GG: [Laughs] You’re right about that, but I never looked quite that far ahead. Many other conductors do, and they have all my admiration, but I usually go one concert at a time. There are a lot of factors that go into the selection of repertory, and you’re quite right, there are a lot of pieces. I’d dare say most pieces I will never do because my time’s too precious, and the time with the students is too precious to do anything less than first-rate music. BD: What is it that makes a piece of music first-rate? GG: That’s a very subjective opinion. There are all sorts of things that go into it when I’m selecting a piece of music to play. One is that I want to expose the students to a variety of musical styles and periods. I’m very concerned with how idiomatic it is for the medium; how well written it is for winds and percussion. That’s not quite so subjective. The real subjective part of it is in the harmonic content, the formal content, the music itself. Is it well organized? Does it make sense? Is it appealing? That’s just something you have to make a personal determination about. BD: Did you find that the students enjoyed the music which was being put on their stands? GG: I would say about eighty per cent of the time. I tried to do a fair amount of contemporary music — although not a steady diet of it, by any means — and I would find, especially with the younger students, if it’s very contemporary (what they would think of as far out and wild) that a lot of younger students might have a negative reaction to it. But as their familiarity of it increased, then so did their appreciation. It would not be unusual for a student to thoroughly dislike a piece at first, but then by the time it was finally brought to the point of performance, they were madly in love with it... although that’s not invariable, either. Sometimes they still hated it. [Both laugh] But that’s a subject of some interest to me, and I have been very curious about that over the years. Without fail I found that post-graduation, students’ musical taste had changed dramatically, and broadened dramatically, which, of course, is a good thing. BD: The band literature doesn’t go back nearly as far as the orchestral literature, so aside from arrangements you have more new works to play, or more new works imposed on you. What advice do you have for someone who wants to compose for the concert band? GG: It’s a wonderful medium to write for, for a number of reasons. It has a very wide tonal spectrum, or tonal pallate. It’s capable of so many diverse and wonderful colors and sounds, but the big thing for an aspiring composer is you can be performed. With the symphony orchestra these days, it’s a tough spot. Orchestras are folding around the country, audiences are growing older, and the young people are not coming along to take their places. This a broad generalization, but for the most part the audiences don’t want to hear much beyond the standard repertory — Mozart, Beethoven, Brahms, maybe a little Stravinsky on rare occasions — but if it’s not part of the standard repertoire, it’s kind of chancy, a little risky to play. The orchestras have to be very concerned about what their audiences are like because they are the ones who pay admission to get in to hear the orchestra and keep the thing afloat. GG: I didn’t have to worry about that at all. BD: Did that make you freer to experiment? GG: Absolutely. But the point I was getting to is that a young composer wanting to write for orchestra is very lucky to get a one performance, but he is extraordinarily lucky to get a second performance. That’s the rule. BD: Though with the band there’s more chance? GG: You bet! If it’s a quality work, it’ll be played over and over and over. He has a chance for great deal more exposure and, as a matter of fact, for a great deal more financial return. BD: Does that put more pressure on the composer to make sure he gets it really right before the first performance? BD: But it seems that they’ve done mostly symphonic and chamber works, and then dabbled for band, rather than being ‘band composers’ like like Nelhybel or Ron Nelson. GG: Persichetti contributed a large number of pieces to the band literature, but that’s a fair comment. GG: There’s certainly no easy answer to that, but I could maybe suggest a few possibilities. One is there’s not that long tradition. Another is in the minds of many music ‘aficionados’, the band has sort of a bad rep. They think of bands in terms of marching bands, and that means playing trivial, cheap music. A lot of that we brought on ourselves, and too often that is the case. This is a somewhat controversial statement, but the bands that are most highly thought of, the bands that are probably regarded most highly are the service bands. They’re wonderful bands. [See my Interview with Captain William J. Phillips, Leader of the Navy Band.] It is better now, but for much of their history they’ve traveled the country playing mostly transcriptions, highlights from Broadway shows, and a lot of marches, and not really very heavy or serious concert fare. So that all contributes to their perception of the band being a rather inferior medium of music performance. BD: Is it safe to assume that in your career you tried to elevate the level of material put in front of the students? GG: I don’t want to sound too stuffy about it, but I did try to do that. Whether I succeeded or not, I don’t know. BD: I assume you must have a number of alumni from your bands who are now leading bands and orchestras. GG: We have a tremendous number of our former students who are out teaching, and a great many of them, I’m happy to say, with notable success. I don’t mean to sound like a braggadocio at all because I was not the only one, just a small part. 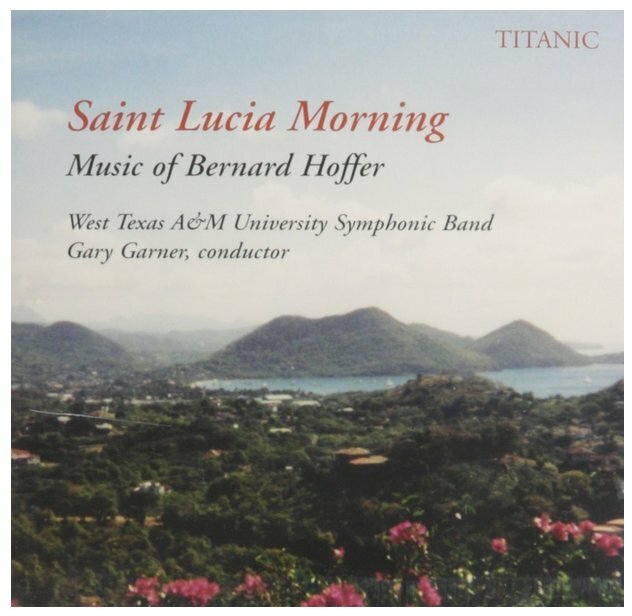 We have a wonderful music faculty here, and they all contributed. One of the great things about this particular school is that music education is not looked down upon, as it is in so many places. Music education often is something thing you do if you’re really not a very good performer. But throughout our faculty, everybody recognizes that it’s a noble calling, and that we need talented, dedicated people in that field. 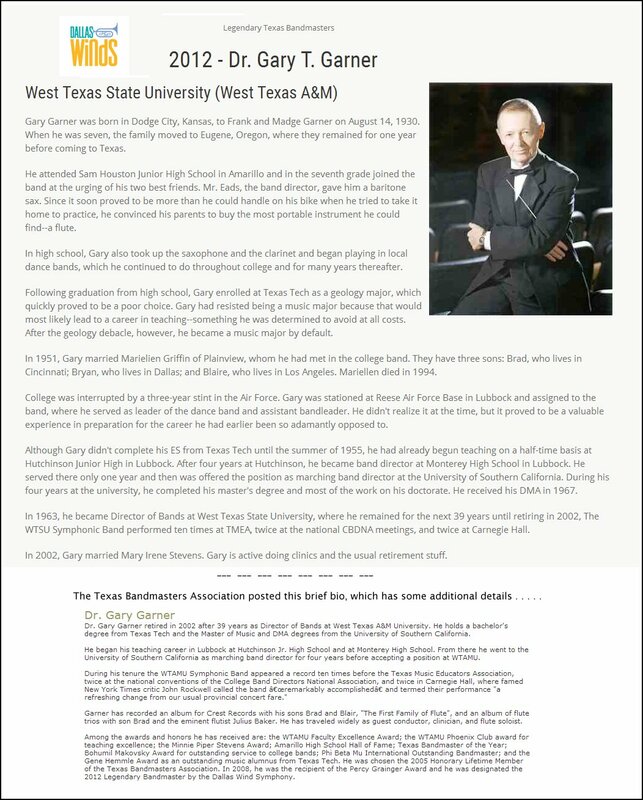 BD: It’s well known all over that students from Texas have a reputation for being first-rate musicians and first-rate educators. BD: Isn’t it part of your job to inspire as much leadership as you can, as well as musicianship? GG: That certainly is the goal, yes. BD: You’d grown up with bands, and been a woodwind and brass man. Was it difficult to then assume the orchestral leadership? GG: It was a new challenge to be sure, and one that I was very eager to take on. In many ways there’s no difference. Music is music; quarter notes still get a count in four-four time; it’s either in tune or it’s out of tune; it’s either a phrase beautifully shaped or it’s not. There are far more similarities than differences. The main differences between stringed instruments and wind instruments are in the manner of playing. That’s why I was eager to study violin so I would be a little bit better informed about the problems with playing stringed instruments, and instructing the string players. BD: You did all of this for many, many years. Did you find that the general level of musicianship got higher and higher each year? BD: That’s just putting together the all-stars, but the general level though has kept up? GG: Overall, yes, probably so. BD: Was it at all frustrating for you to know that you would work with the students, and nurture them for two, or three, or four, or perhaps five years, and then they’re gone? GG: [Laughs] We had one student that was in the band for eleven years! [Both laugh] He was a wonderful player, and he just liked to go to school. 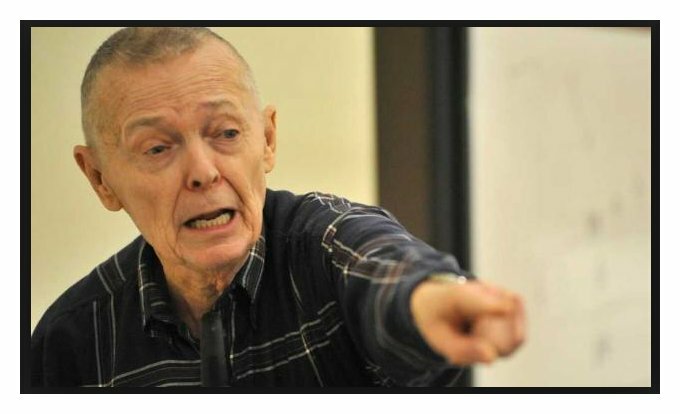 He was a pro when it came to dropping classes, and he did that mainly because he didn’t want to graduate. He wanted to hang around, but his dad finally pulled the plug on that, so he went to classes and graduated. But not very many of them anymore seem to graduate in four years unless they also go in summers and take great heavy loads. It’s not at all that common. In fact, it’s quite common for them to take five years, and not infrequently, more than that. But as to your question, the saddest time of every year for me was always the last concert because I knew when I gave that final cut-off, that group would never ever be in the same place at the same time again. It effectively ceased to exist, and it was almost like a death in the family to me. It was always a very emotional moment for me. I hated that time. BD: Then in September you had to start all over again — not from scratch but from a few steps back — and rebuild and rebuild? GG: I don’t mind starting over. I like that, and I love the rehearsals. The rehearsals are the best part of it. BD: [Surprised] Really??? More than the performance? GG: Yes. Not that I didn’t enjoy the performances, because I did and do, especially if they come off well. But it’s the rehearsals where the real teaching and congealing of the ensemble takes place. There is the opportunity for communication, not just from the podium to the ensemble, but from the ensemble back to the podium. It’s a two-way process, and it’s a very exciting one to me. I’m not at all unusual in that way. I’ve heard a lot of conductors say exactly the same thing. It’s the rehearsals that are great. That’s what I miss the most — the daily musical give and take. BD: For any particular concert, about how many rehearsals did you have? GG: That varied a lot. I never even stopped to think of it quite in those terms. In our case we had four fifty-minute rehearsals a week, and then I excused the Friday rehearsal in return for a section rehearsal with each section. So that was twelve sections. I’d have twelve one-hour section rehearsals a week, plus four fifty-minute full rehearsals. I don’t know how many rehearsals we normally had for a performance. Sometimes it might be very few, sometimes it could be quite a few. It depended a lot on how much we’re music playing, and the difficulty of the music. BD: Was it ever enough time to rehearse? 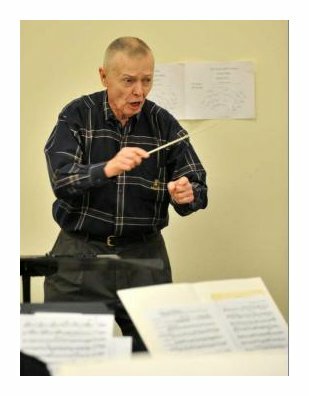 GG: I remember several years ago when we had Donald Neuen, who was at that time the director of choral activities at Eastman, in Rochester, New York, came one summer. He had to do a choral workshop, and another seminar they had. One of the students asked how much is enough rehearsal, and he said, “There’s no such thing as enough rehearsal. You just keep rehearsing up till the time of the concert, and then you perform.” But then there are other people that’ll say it’s possible to have too much rehearsal. As a matter of fact, I’m one of those. I think that’s true. I think it is possible to have too much rehearsal. Then there’s no immediacy. It tends to dilute the immediacy of the rehearsal process, and take the pressure off. Invariably where you have an excessive amount of time, there’s still that last minute panic just as there was when there was not enough time. Nowadays you can say there have been a lot of performances that I’d conducted that I wished we’d had another rehearsal or two, or that I had utilized the rehearsal time to better effect. BD: Was there ever a case when you purposely left something out so that there would be a special spark on the night of performance? GG: [Decisively] No! [Both laugh] Neither do I subscribe to the theory that a bad dress rehearsal means a good concert. That’s a myth, at least in my experience. I’ve had some bad dress rehearsals that were followed by bad concerts. BD: Were you able to coordinate the band and orchestra programs with the rest of the ideas and classes and lessons that were going on at the school of music? GG: In some ways there were. When our music history teacher would be doing a seminar on Mozart, for example, he would want to coordinate that with the playing of a Mozart symphony. That did happen a number of times. Then there’s also a departmental policy — this more of a pedagogical thing — where we would all use the same rhythmic counting systems so that the students would be getting the same thing in their theory class, in their individual private lessons, and in their ensemble rehearsals — rather than the ensemble conductor using one counting system, and the private teacher using another, and the theory teacher using still another, which would tend to lead to confusion. So we did have a stated and unstated departmental policy that would be all coordinated and uniform throughout the department. BD: In your ensembles, were most, or all, music majors, or were some non-music majors? GG: In the symphonic band, the top band, there would usually be one or two or three non-music majors, but almost all were music majors. Then there were some times when there were no non-music majors, but usually there would be two or three very serious musicians who happened to be majoring in something outside music. They were, without fail, wonderful band members and very dedicated. BD: Did you also have the lower bands as well as the top bands? GG: I did for a number of years, and then in 1987 we brought in a second person who succeeded me that year. He was an incredibly talented musician. Up to that point I had been doing both bands, and when he came on board, then he took over what we call Concert Band. BD: The Concert Band would have a lot more non-majors? GG: Yes, they would have more. BD: Is there anything different in your mind when you’re giving a down-beat to non-majors as opposed to all majors? GG: No. They either respond or they don’t. They either play the right note or they don’t, and if they don’t, then it’s your job to try and lead them to the right note. BD: I just wondered if there was some little preparation, or a few extra things you would say at the beginning of the rehearsal that you would not say to those who were music majors. GG: No, not for me. Maybe somebody else would feel differently but I certainly never thought of it in those terms. BD: What’s the purpose of music? GG: [Surprised at the question] Oh, God! I don’t know, and I don’t think anybody else does. It’s a platitude, but music ennobles and enriches the human soul. Fundamentally, as we know throughout recorded history, human beings are incapable of existing without it. We’ve got to have the arts in general, whether it’s a drawing on a cave wall somewhere or the most sophisticated twenty-first century art work in any medium. We can’t exist without it, we just can’t. Why that is I don’t know, but it certainly seems to be ingrained, and it’s in that human gene pool, and sure to stay as long as there are humans around! BD: Are you optimistic about the whole future of music, either performance or composition? GG: [Reluctantly] Well, yes and no. There seems to be a wide chasm between the public and contemporary composers, which has not been true throughout the course of music. I guess this is the old fogey in me, but I think popular music is at such an all-time low. It’s depressing, and the pattern seems to continue. Ever since I’ve known anything about it or have been involved in it, you go through periods of economic austerity where the first thing that they want to cut is the arts. When the Russian Sputnik went up in 1957, all of a sudden there was this hue and cry around the country that, “The Russians are ahead of us! We need more math and science,” and music and the arts were under considerable assault for a while. I was very much part of that era. I was just a young teacher then, and it was very alarming. So we go through periods like that, and here we are at a time where our nation’s economy is very tenuous, to say the least, and I’m sure we’re going to hear a lot of that. In Alabama right now they’re even thinking about cutting out athletics! [Both laugh] But if athletics go, you can be sure music’s going to go very soon. People seem to think of music too often as a frill. Well, it’s not a frill. Let’s face it, instrumental music is a pretty expensive proposition, but when it’s done right, there’s a tremendous return. So I don’t know whether to be optimistic or not. I’m sure in the long-term things will be just fine, but these are difficult times. BD: You, as an instructor, have to prepare the youngsters for good times and bad. GG: That’s true, yes, and part of my assignment for much of my tenure was teaching senior music methods classes — instrumental music methods classes — and we’d talk about things like that. They have to always be prepared to justify their existence, and justify the very considerable expenditure that the local school boards are putting forth to sustain their programs. If they can’t do that, then they’ll be in real jeopardy. BD: They’ll be looking for work elsewhere? GG: That’s right, and the real losers will be the kids. BD: I asked about advice for those who compose. What about those who want to conduct bands? Do you have some advice for younger conductors coming along? GG: As far as finding a job, that’s a wide-open field. There’s a considerable shortage, at least in this state, of band directors right now, and a serious shortage of orchestra teachers. GG: I’ve done some research on this, and the really talented string players — who are also very bright kids — are likely to go into medicine, or law, or engineering, heaven knows what. GG: Yes, and if they do go into music, they think they need to be performers, and most likely to want to go to an Eastern conservatory. That’s a very tough road to make a career as a player. It’s very hard because there’s such a vast pool of people seeking employment in professional orchestras, and so few openings come about. There might be a thousand applicants for a job, and you’re very lucky if you even get to audition. Statistically I always tell kids, “Why don’t you plan to be a United States Senator? There are a hundred of them, but if you’re a tuba player and you get a degree in tuba, maybe there’ll be an opening some time in the next ten years in an orchestra, and maybe you’ll be one of the thousand people that’ll apply for it.” So that’s a very, very difficult career goal, but there are jobs that come about occasionally, and somebody will get them. They just have to be realistic and understand that the odds are stacked badly against them. BD: Let’s now assume that someone has beaten the odds and is the conductor. What kind of advice do you have for the working conductor? GG: You mean in a public school situation? BD: Or in a university situation. GG: What they need to do is prepare for it. They need to do a number of things. First of all, they need to be the best performers they can. If you’ve never really made music at a very high level, it’s not likely you’re going to teach anybody to play at a very high level. They need to be as serious as they can about music theory, and learn how music works. They need to know something about music history — which is something that I certainly poo-pooed at one time in my life — and they need to know as much repertoire as they can. They need to study the repertoire for that medium, and hear as many performances as they can, see as many rehearsals as they can, observe as many conductors as they can, see what they like and what they don’t like, find what they want to use and what they want to avoid, because you learn something from everybody — even if it’s what not to do. They would be very well advised to do what I didn’t do, which is to develop at least a modicum of keyboard expertise, and continue to try to develop aural acuity, as well as just the mechanical act of conducting. It’s something that needs to be studied and practiced. It’s like playing an instrument. BD: You did take some of your advice by becoming a first-rate flute player. Tell me about some of the joys and sorrows of being a flute player — or do you say ‘flautist’? GG: I call it ‘flutist’, or as my son would say a ‘flutician’! [Laughs] Actually he borrowed that from his teacher, Julius Baker. The flute turned out to be a good instrument for me. I seem to be fairly well suited to it, and there are great things about. Because most the flute players are girls, if you’re only guy in a section of girls, that’s not bad. [Laughs] And you get to play the melody all the time. It’s very portable. It’s a lovely instrument, and there’s a lot of great flute literature. BD: Both solo and for flute ensemble? GG: Yes... well, I don’t know if I would say there is a lot of great flute ensemble literature. There’s a lot of flute ensemble literature, but I don’t know how much of it is great. Forgive the immodesty, but my son’s the best flute player I know of, and he has an unbelievable flute studio at the Cincinnati Conservatory that’s highly selective, and he avoids ‘flute choirs’ like the plague. Even though he’s got all these wonderful players at his disposal, he just doesn’t think there’s much really good music. BD: Does he discourage it, or does he just simply leave it to someone else? BD: [With a gentle nudge] But you don’t want everyone to play flute. You need the whole rest of the orchestra. GG: Although sometimes these days, it seems as if everyone is. If you’ve ever gone to an annual meeting of the National Flute Association, flute players turn out by the thousands. It’s mind-boggling. I’m sure they represent just a small proportion of the flute players around the country. When I was a kid and started playing the flute, there were not many flute players. But now, my gosh, they just multiply like nobody’s business. BD: I assume every flute player should also play piccolo, and alto flute, and bass flute? GG: No, not necessarily. A lot of flute players don’t like to play piccolo, and I’m one of them. I never really cared much for playing piccolo. But then there are a lot of people who specialize on the flute, and I notice there are a lot of wonderful piccolo players who are not as good on flute as they are on piccolo. This is not always the case, of course. Alto flute’s a lot of fun to play, and you don’t often need a bass flute! I probably haven’t spent an hour on a bass flute in my life, but it’s fun to play. BD: You should write a concerto for bass flute. GG: There may be one, but you hear it in movie scores and sometimes in commercial music. A lot of ‘flute choir’ music calls for bass flute. BD: One last question. Is conducting fun? GG: Conducting is way beyond fun. It’s exhilarating, and I do warn my students about this. There’s such a sense of power that sweeps over you up on that podium, where you’re in total control of all these people in front of you, it’s sometimes easy get a little too carried away with it. BD: Are you in control, or are you just trying to bring out everything that’s in the score? GG: You’re in control in the sense that you could tell them what to do. Whether or not they’re able to do it is quite another matter, but you’re in charge. It is easy, especially in a school situation, to abuse that if you’re not careful. This is something a lot of people have to be careful to avoid. BD: You’ve retired from WT? GG: I still get back there a little bit. I taught at the band camp again this summer, and I help with a band clinic they have in the spring. In the spring I do a lot of band clinics for high school and bands. Last year I began volunteering my time at a local high school. It all began actually when I was visiting a former student who’d had an appendectomy at the hospital here. A Pink Lady was showing me her room, and I was thinking what a nice thing it was that this woman was volunteering her time in this way. So I needed to do that, too. For some reason they rejected my application to be a Pink Lady [winks], but I had been giving some serious thought about how I might do some volunteer work, when finally the obvious came to me. The one thing I’d like to do most, and perhaps do the best, is work with school instrumental ensembles. So I called a former student of mine, who is a director at a local high school, and told him I’d be glad to come out one day a week and help in whatever way he’d like, and he was kind enough to say yes. So I did that one day a week for a week or two, and had so much fun, I started doing it two times a week. Before I knew it, I was going out there every day, and probably will do the same thing again this year. So that’s taken up some time, but it’s been a most pleasurable pursuit for me. BD: Thank you for all you have given to music, and I hope you continue to have lots of great success. GG: You’re very kind, and I join you in that hope. Thank you. This conversation was recorded at his home in Texas in September, 2003. Portions were broadcast on WNUR in 2006, and on Contemporary Classical Interenet Radio in 2007 and 2013. This transcription was made in 2017, and posted on this website at that time. My thanks to British soprano Una Barry for her help in preparing this website presentation.